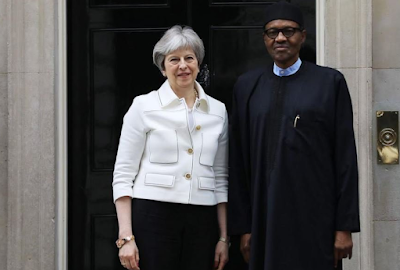 The British Prime Minister, Theresa May, has told President Muhammadu Buhari that her country is willing to work with Nigeria in the areas of training and equipping the military. The Prime Minister was particular about the abduction of young schoolgirls by members of Boko Haram in the North East. Prime Minister May, in her remarks, said Britain would continue to work with Nigeria to ensure security of lives and properties. She said that Britain would continue to give Nigeria needed assistance. May said the Buhari administration has “been making good progress on the economy,” and urged it to maintain the focus, despite approaching elections, and increase in political activities.